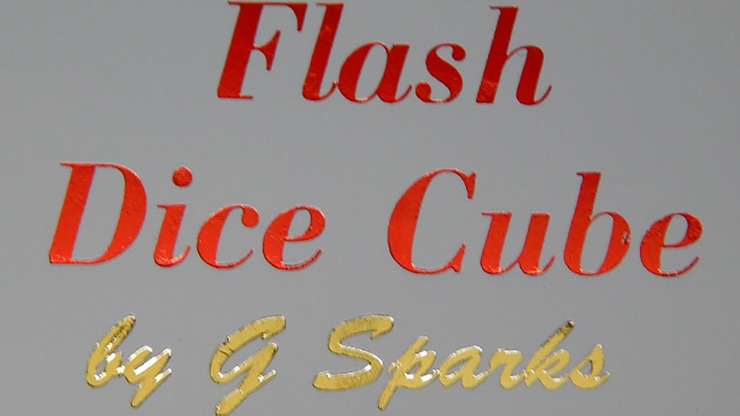 "The magic Flash gives the Dice Cube the power to melt right through any playing card." The push button electronic flash unit is attached to a playing card and comes in a 3x2x7/8 inch, white drawer box with, Dice Cube, hot stamped on top. Powered by 1 AAA battery, (battery not supplied). Includes a set of 3 translucent red dice.